This is a really obscure 45 from Raleigh, NC on the JCP label which was basically a custom label used mainly by garage groups. Soul releases on it are few and far between but I do like this one. The “low fi” production is pretty raw – crude even – but that only adds to the enjoyment. The singer is powerful and direct and the rhythm section, augmented by a wandering tenor sax, gets going rather well. 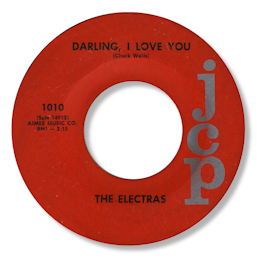 Writer Chuck Wells had an obscure 45 on Goldleaf which is well worth investigating. This track here reminds me a bit of the 45 by OC & The Originals also from the Carolinas. Thanks to Jason Perlmutter (see Links) for the suggestion and some helpful info.